Can You Ingest Essential Oils? - There's an EO For That! 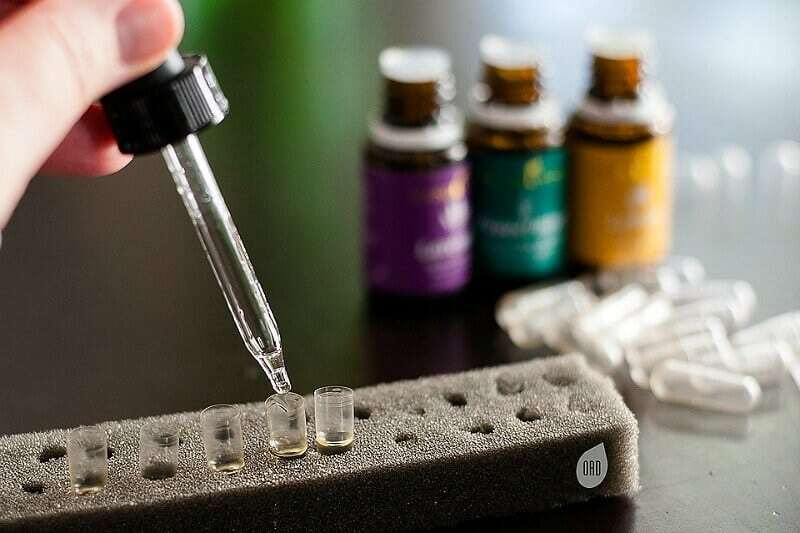 One of the biggest questions everyone asks about using essential oils is “Is it safe to ingest essential oils?” and “Is it effective?” To answer both of these important questions we have to turn to the field of toxicology. The field of toxicology is often misunderstood. When we think of toxicology we immediately think about things that could poison or potentially kill us. And while toxicology certainly includes those substances it is a much broader topic than most of us realize. It’s applicable to whether we’re talking about natural health or about environmental health or when determining the safety of a specific drug or even the safety of natural drugs such as essential oils and herbs. Toxicology, as the name implies, is the study of chemicals that can cause harm. These chemicals are known as toxicants or toxins- a chemical that causes systemic damage. But don’t be thrown by the word chemical because we aren’t differentiating between manmade synthetic chemicals and naturally occurring chemicals. Essential oils are full of chemicals and many of these chemicals are really good for our body. And so when we’re looking at identifying toxicants and the ultimate safety for anything we’re exposed to, what we’re really trying to find out is if there is anything that will cause systemic damage. This is the toxicity we tend to think of when we think of toxicology right? We think of dire situations where someone’s ingested some sort of poison that’s going to immediately kill them and we see the effects right away. However, more modern toxicology actually studies something called chronic toxicology because acute toxicity isn’t something we need to worry about too much in the world of aromatherapy. Cases of acute toxicity in scientific literature talk about those who have intentionally overdosed on essential oils or have applied them undiluted on large areas of the body with the focus of causing harm. Of course there are cases where perhaps a small child has accidentally ingested a very large amount of essential oils and caused harm but these cases are rare. This is the more modern approach to studying toxicology and is more relevant to modern living because it includes exposure to low level chemicals in our everyday lives like pesticides. For example, if you live near a farm that uses pesticides on their crops you may not react right away, but if you’re driving by these sprayed fields day after day then we have to turn to studying chronic toxicity to determine if this is harming the body. Is the body eliminating these pesticides? Are they building up in the body? Are we going to have a reaction years down the road? This is a small consistent exposure much like taking a flu bomb every day during cold and flu season, culinary use of essential oils, or adding essential oils to your water on a daily basis. So when we’re talking about ingesting essential oils, we have to ask ourselves both of these questions: is it safe? And is it effective? That’s where it gets tricky and why it’s necessary to dig into the scientific theory of taking essential oils safely. We can determine acute toxicity pretty easily because there is an immediate reaction/response in the body. Chronic toxicity requires us to dig a little bit deeper because you can’t know if something is safe right away. That’s what makes taking essential oils internally risky business unless you really know what you’re doing. In modern life we tend to throw around the word toxin to describe anything that causes a negative reaction in the body but we’ve actually drifted away from what the word toxic really means. However, if we say something is toxic, it doesn’t necessarily mean it is poisonous and this is probably one of the biggest misconceptions. Something can be toxic to us without being poisonous and it doesn’t mean it’s going to kill you immediately or in the long term. Toxic means it is going to harm something in your body. Also, something that is an allergen is not necessarily considered a toxicant. We know that applying certain essential oils to the skin can cause irritation or burning when applied neat and this may make us think that this oil is corrosive or irritating. However, this is again a separate reaction because toxicity is a SYSTEMIC reaction that causes harm throughout the body. When talking about essential oils and their reactions, we need to remember that we’re talking about a completely separate response in the body. Does our body metabolize and eliminate essential oils effectively? What is the best method for use? The old adage “Dose makes the poison” rings true for any chemical substance including natural ones like essential oils. It is extremely important to know the correct dose in order to safely ingest essential oils. 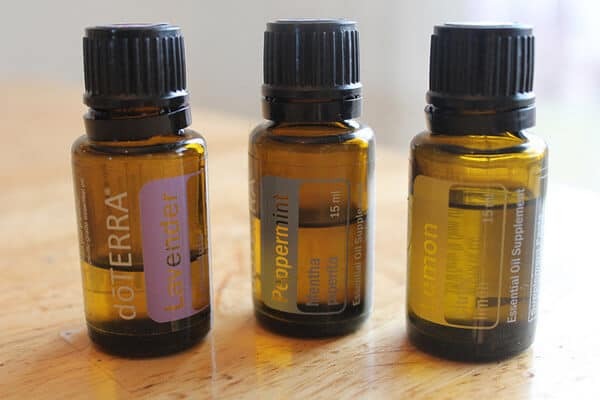 Are you taking essential oils for a week to treat a cold and then not taking them again, or are you taking a flu bomb everyday throughout the entire winter? Both are very different approaches and need to be carefully considered with regard to toxicity. For instance, taking a flu bomb daily has a much higher risk than taking essential oils for one week. Males and females respond differently to essential oil exposure. We also know that age plays an important role because we know that a three year old isn’t going to respond the same as a 10 year old or a 40 year old or a 70 year old. Is our body metabolizing and eliminating efficiently? How efficiently do drugs move throughout the body? How are essential oils absorbed and excreted? This is incredibly important to consider in regard to chronic exposure toxicology. Are the liver and kidneys healthy? Are the elimination pathways clear? All of these questions must be evaluated and considered carefully when determining if ingesting an essential oil is safe. How Do We Define Risk? When looking at the potential risk factors for ingesting essential oils you have to step away from yourself as a student, a worried mom, or just a person interested in essential oils and look into risks by evaluating trustworthy scientific information. • Epidemiology and Statistics- what is the unique idiosyncratic reaction and what is a common normal reaction? • Identification of Key Levels- what is the therapeutic dose? What is the LD50? How is Risk Perception Determined? 2. Trust- do you trust the source of your information? 3. Risks VS Benefits- which is scarier: the ingestion of an essential oil or experiencing the illness? All of these factors really influence how we feel about ingesting essential oils and need to be very careful and proceed with unbiased consideration before doing so. Are the arguments for or against ingestion based on science or risk perception? This is where there are different “grades” of essential oils like “therapeutic grade” or brands that claim their oil is better than organic. They may also say “only our brand is safe for consumption”. Here’s the bottom line; there is no certification in the realm of aromatherapy other than organic certification. Claims that an oil is therapeutic grade is simply a trade mark of that company and should not be the sole determining factor when ingesting essential oils. When we’re talking about toxicology we’re looking at the chemicals in essential oils. Every high quality essential oils should have chemicals because they are the core components that make them what they are. Those levels are what truly determine whether or not an essential oil is safe to ingest. Another argument is that all other essential oil companies produce impure oils. There IS of course adulteration in the world of aromatherapy, but saying that all other brands are impure implies that the professional aromatherapists of those other brands who don’t advise the internal use of essential oils MUST use adulterated materials because if their oils were pure enough then you could ingest them. These accusations are simply not true. Of course do your research thoroughly. Traditional aromatherapy with an emphasis on inhalation also has an emphasis on quality. They are not making oils that have impurities in them for you to inhale. The flip side of this is that purity also equals potency. If we’re looking at a pure high quality essential oil, then we’re going to be looking at a lot of pure chemicals directly from the plant. That can lead to greater risk. So if there’s an implication that someone else has a diluted essential oil and ours are more pure so ours are safer for consumption, it would actually be the other way around. Just something interesting to think about. Culinary ingestion is NOT the same as medicinal ingestion. If you buy a drink at the store that says it contains essential oils they’re not talking about a few drops, they’re talking about parts per million. This is heavily diluted. So when we look at ingesting essential oils in a culinary approach then our benchmark needs to be the amount of essential oils in the herb or in the plant. We’re going to have more flexibility if we’re dealing with a citrus or mint where there’s a lot of oil in the plant and less flexibility when we’re get into something like myrrh or sandalwood where we don’t typically ingest these plants. Medical ingestion is where we take a lot more essential oil in order to treat a specific medical condition, not a flavor enhancer. A typical example is the flu bomb. Saying that you already eat essential oils in regular food daily does not justify medicinal use. If you look into what GRAS actually means in regards to essential oils, they’re used as a food additive which is typically in very very small quantities. GRAS was never designated or meant to be used for medicinal substances, drugs, or supplements in large quantities. This includes essential oils. Just because you have taken essential oils internally for years without any noticeable negative effects doesn’t mean it hasn’t damaged you in some way. This all goes back to chronic exposure and how it can take a really long time to see results. You have to consider the subclinical effects and how things can build up over time. There’s a myth that the British use aromatherapy one way and the French use aromatherapy another way and never cross paths in regards to methods of use. The truth isn’t such a dichotomy. The reality is there are different schools of thought, there are different training methods, and ingestion is a much higher level of training that takes place after standard aromatherapy training. There isn’t this British VS French battle when using essential oils. What about Germany? Germany is one of the many counties around the world that uses essential oils internally. In fact, a number of there pharmaceuticals contain essential oils. This is completely true! Oil and water don’t mix at all. If you don’t believe me go look at your vinaigrette salad dressing and tell me you don’t see a layer of oil floating at the top. Proper ingestion of essential oils does not teach us to use water as a means to dilute an oil. It’s just not something that would be recommended by someone who is trained in aromatherapy. Adding a few drops of essential oil to your water will increase your risk of irritation in the mouth and throat. 2. It Effects Gut Bacteria! This is true for everything you ingest so of course taking essential oils internally will effect gut bacteria. Some essential oils aren’t good, but there are a lot of essential oils that have positive influences on the microbiota. In fact, a lot of oils can be used to balance out a dysbiosis in our system. Taking essential oils in a way that allows your throat to be coated by essential oils is not something that is taught by trained aromatherapists. There are many accounts of people burning their throats using essential oils. This all goes back to appropriate use and is an important warning to heed: don’t just eat essential oils as is! What is Safe For My Family? Essential oils should not be the only tool in your medicine cabinet because essential oils are not a one size fits all for everything. Of course they are great to support other application but there are also herbal medicines which do a better job. It’s wise to educate yourself and weigh in one the best ways to use essential oils for you and your family. • Contraindications- who should not be ingesting this essential oil? If I have a certain condition, does that exclude me from using certain essential oils? • Adverse effects- what are the risks of ingesting essential oils. What could potentially happen? How long will it take for a risk to show itself? • Application- where are you applying the oils? • Efficacy- what are we looking for in terms of treatment? • Expectations- what do we hope to achieve ingesting essential oils? If you don’t know all of this information, then don’t ingest that essential oil until you have these answers. We must keep in mind that there are general rules for ingesting essential oils and then there are special rules for ingesting essential oils. 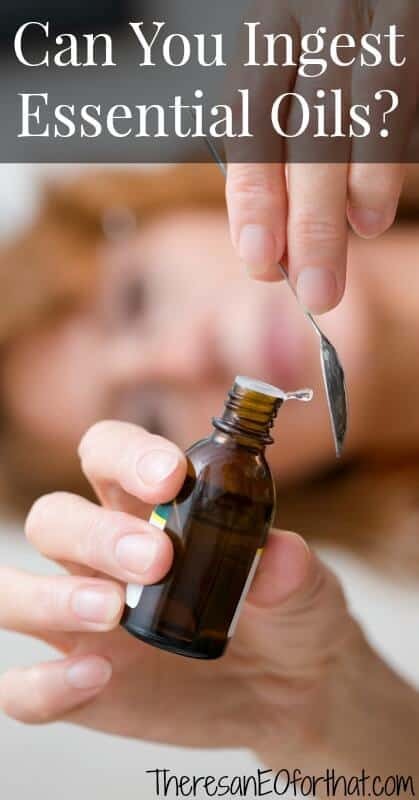 Unless you are under the close supervision of a highly trained certified aromatherapist, you should never ingest essential oils if you fit into one of these special categories. Dose really does matter and it’s important to know that you cannot make blanket statements that generalize how to take essential oils internally. One example is if someone says just take 3 drops of any expectorant essential oil for cough. You may have a really bad cough and decide to take 4 drops instead. The reality is, you would never want to up an internal application or even take “x” essential oil because it could potentially damage your liver or burn your mucus membranes. On top of that it could contain VERY different chemical components than the oil that was recommended. Less is more and dosing should always always always be oil-specific, precise, and you should always check reliable and trusted sources. Dilute Essential Oils in Lipids or Sweeteners- if you are taking essential oils internally you have to dilute them in lipids (fats) or in sweeteners which act as an emulsifier. Mix very well. 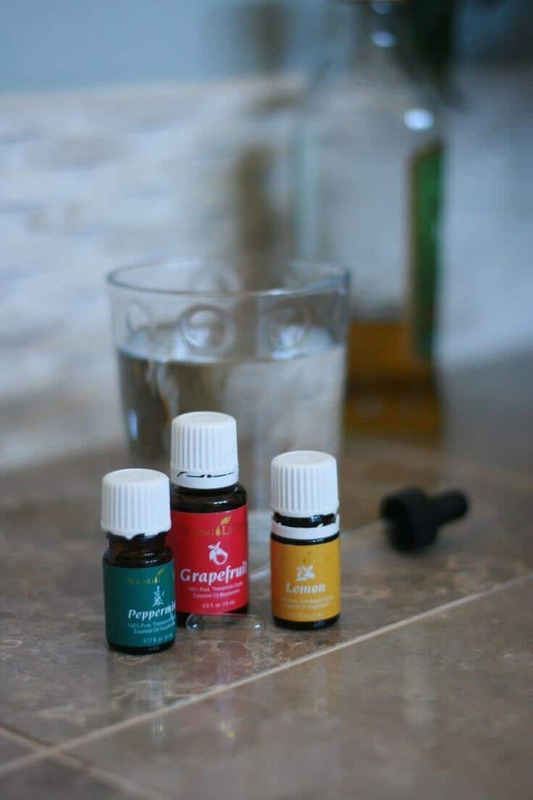 If you are someone who really cannot give up having essential oils in your water, then I recommend making a batch of simple syrup and adding the appropriate amount for dilution (this is oil-specific) to your glass, add your essential oil, then add water and mix thoroughly. So I know that I didn’t mention any specific oils in this post and that’s because I want you to know all of this information so that you can make the best choice for YOU. This article sounds like a scare tactic but that’s not my intension. Knowledge is power and the bottom line is essential oils are not playthings. They are very powerful and very potent chemicals. What’s more is each and every essential oil has very different chemical levels, even within the same species, even between brands. They can do both great good and great harm depending on whether or not you know how to properly use them. Just because some says “you can ingest essential oils from x company and it’s totally fine” doesn’t mean you should blindly follow. Do I recommend ingesting essential oils? Yes and no. I think that if you are under the care of a highly trained aromatherapist who believes in this course of treatment and they KNOW you and they KNOW their oils, then yes. But if you are someone who is just learning about essential oils and dives in without carefully considering potential risk factors, then I don’t think you should be ingesting essential oils until you do. Have I ever taken essential oils internally? Yes. For a very very short period of time under the guidance of a certified aromatherapist. Essential oils are wonderful precious remedies, but never underestimate them. How do you feel about ingesting essential oils? My 87 yr old mother has throat cancer . What can she use at her age ? This is the most balanced and objective article I’ve read on eo’s and ingestion. Thank you, Tash, for not only debunking many of the myths but going deeper into a very important aspect of eo use!